Civil rights activist Teesta Setalvad today alleged that certain cow protection laws allow 'gau rakshaks' to take the law into their hands. MUMBAI: Civil rights activist Teesta Setalvad today alleged that certain cow protection laws allow 'gau rakshaks' to take the law into their hands. Stating that such laws should be repealed, Setalvad urged the people to take up the issue since the "principal opposition is not raising it". Setalvad was speaking during a discussion on "Lynchpin — Looking at the politics of mob violence" at the Tata Literature Live here. Other panelists included Naresh Fernandes (editor of Scroll.in) and Thomas Blom Hansen (professor of anthropology at Stanford University). "We have in place, in about eight states, including Maharashtra, certain cow protection laws, that actually privilege the gau rakshaks. So, laws are being passed to allow gau rakshaks the power to be vigilantes. We also have to speak about repealing those laws, because it is actually allowing them to take the law into their own hands," she said. "These (laws) are all being passed under the current dispensation and the principal opposition is also not raising this issue. So, I think citizens will have to raise this in a rational way, saying that the cow may be a very precious animal for certain sections of Indians, but you cannot privilege lynching and killing of human beings over this issue," she added. 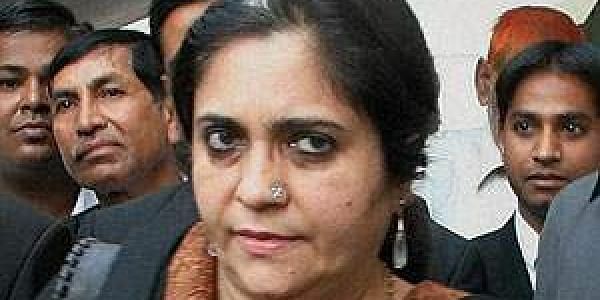 Setalvad claimed there are police personnel, people in high offices, in the state executive and judiciary, who actually believe that India should be a religion-based nation. "We need to look at the bias in the police force, we need to look at the suo moto jurisdiction of the courts, and we need to constantly look at the victims. Are the survivors and victims getting a voice? Are they being heard? "We had mob violence with impunity even earlier, the CrPc and IPC were not implemented without fear or favour. We don't have FIRs registered against powerful politicians," she said. "What appalls me is that we have commission reports, which are very powerful and no judgements which are giving justice. There is absence of institutional memory and this is something we need to push for. Without citizens pushing for police reforms, without citizens pushing for accountability it's not going to happen," Setalvad added. She further said that no government, including of the Congress, the BJP, or the CPI (M), wants to let go of control of the police force and have a professional force which is accountable to the assemblies and Parliament. "There are issues of institutional reforms and there are issues of an ideology that is actually sworn to the Constitution and constitutional values that we need to deliberate on," she said.